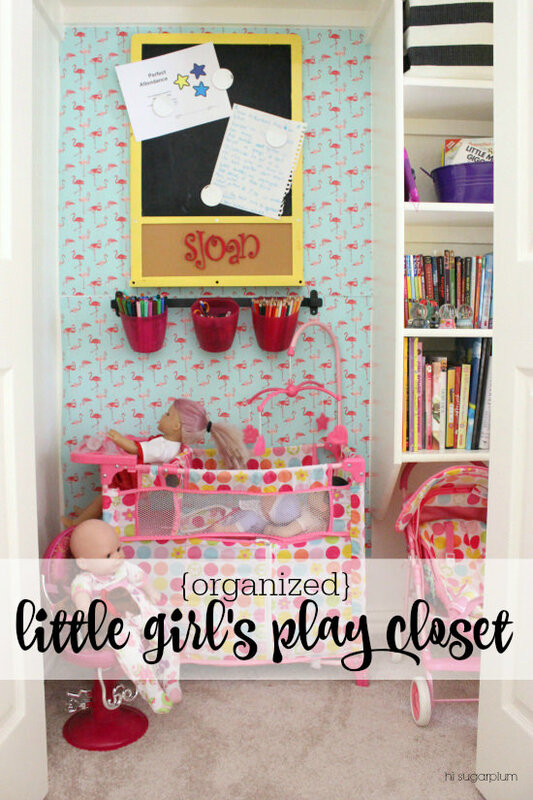 Project Little Miss | Organized Play Closet | hi Sugarplum! You might assume since we’ve only been in this house a short time, the closet situation would be pretty well under control…after all, how bad can it get in a few months, right!? Yeah, um, wrong. In the hustle and exhaustion of moving, we never properly set-up and organized most of the closets. It was more of a ‘shove it in there and we’ll deal with it later!’ mentality. Over time, it became easy to pretend the mess wasn’t there, because it was tucked behind closed doors. In fact, we still have unpacked boxes in almost every closet! 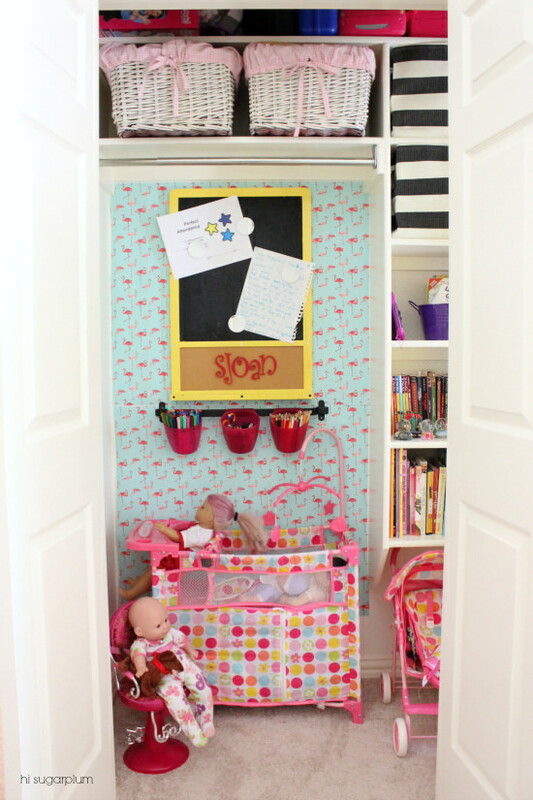 Little Miss’s closet was mostly unpacked, but never organized. 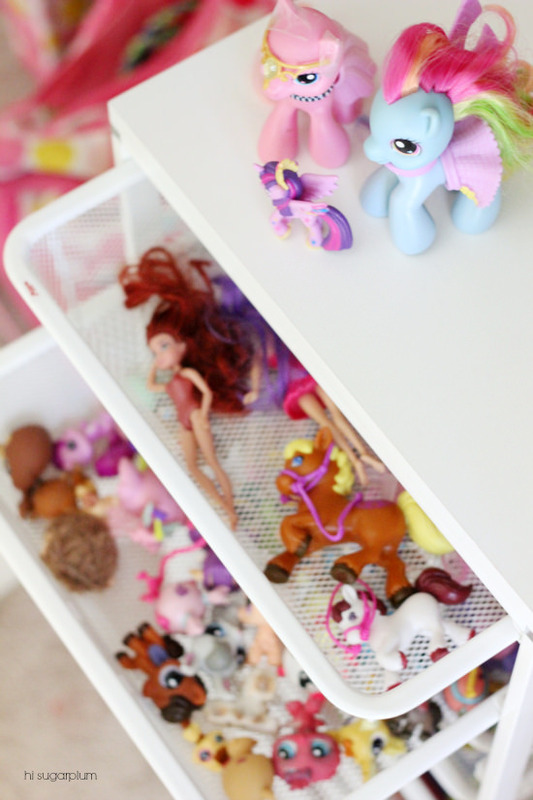 And as you know with kid’s spaces, if there’s no system in place, it becomes a hot-mess after a single day of use! 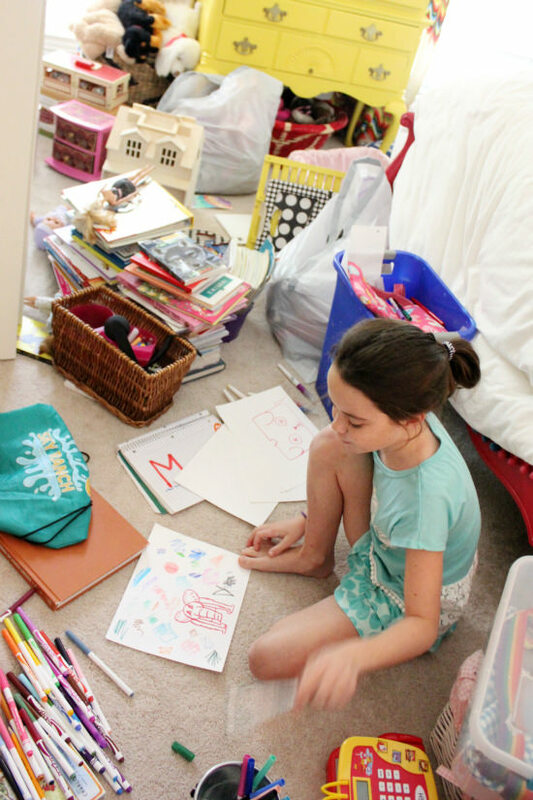 You know it’s bad when even your kid is begging for an overhaul, so after an emotional (I’ll get to that) afternoon, we turned her disaster zone closet into a tidy, fun space for both play and storage. Okay, maybe not the worst ever, but definitely not user-friendly for my creative, imaginative, budding artist! 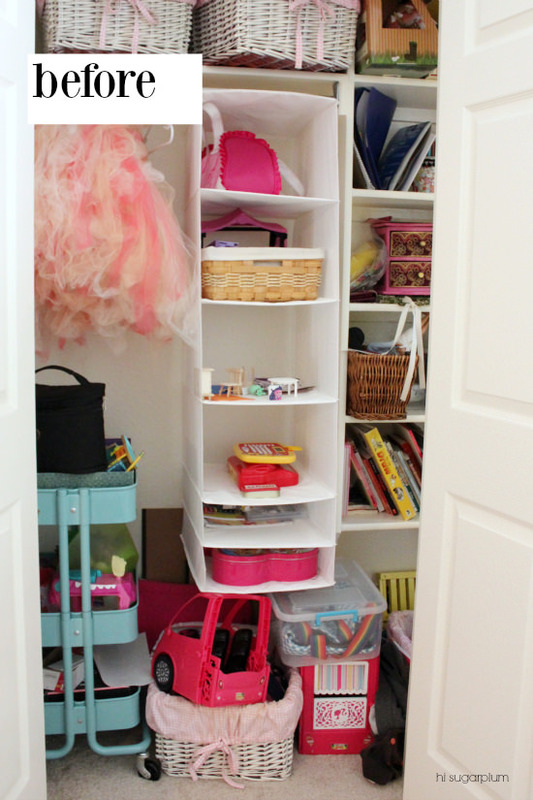 The best thing this closet’s future had going for it, was my daughter’s desire to have it organized, and her excitement to turn it into a space she could both play in, and keep all her favorite things within reach. I realized if I let her make decisions based on what she wanted, then it would be a space she’d likely treasure, and maintain! 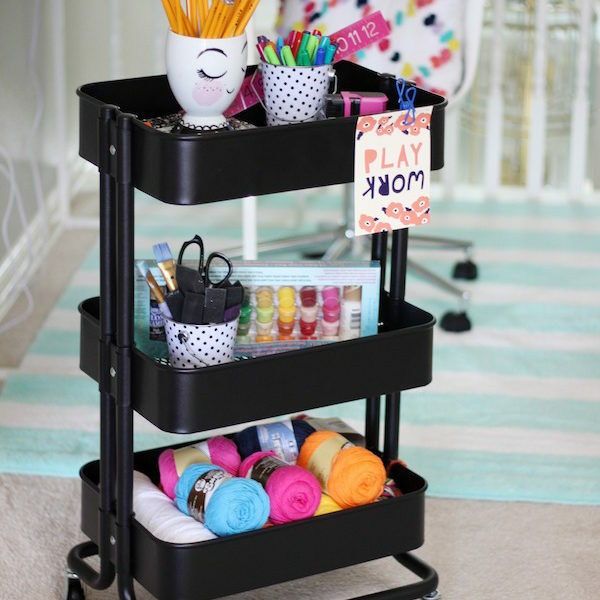 #goals So I sidelined my desires to make it a ‘blogworthy’ space, and let her steer the project….only piping in with suggestions of how to efficiently utilize the full space. Fashion isn’t high on her list of priorities, so she only needs a small area to actually store her clothes. 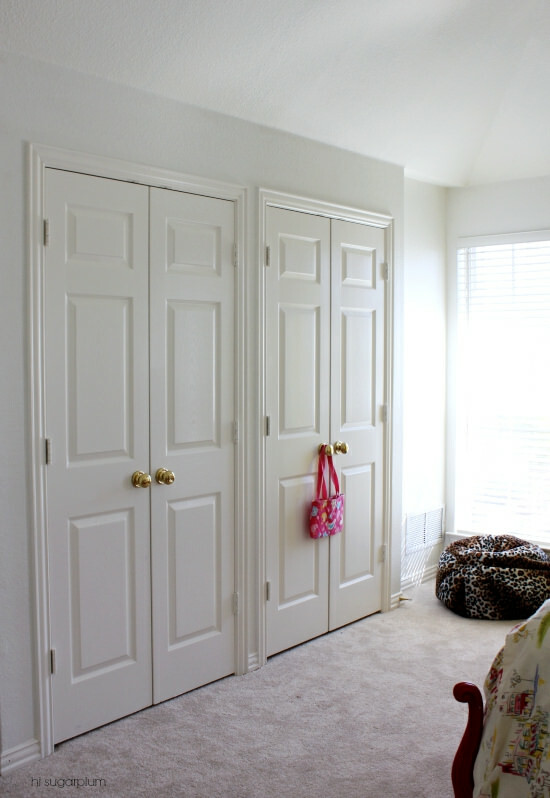 We decided to take advantage of the wide door openings, and split the closet into storage and play spaces, but without changing the structure so it could easily transition as she grows, and her needs for the closet change. 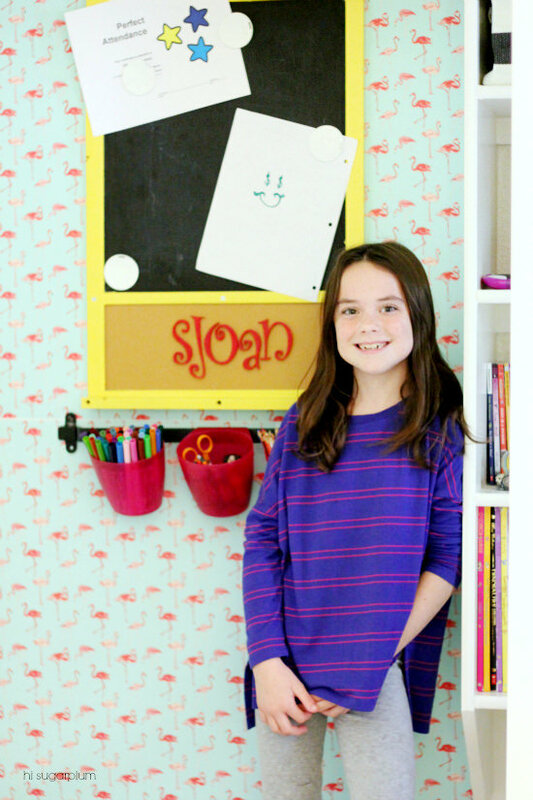 She’s been a blogger’s daughter long enough, so of course her first idea was to cover the back wall of the ‘play side’ with a graphic paper. No surprise she went with flamingos (it was a reader favorite when I shared my organized gift wrap and craft station!). Then I helped her hang the elements from her previous Art Center on the back wall, and Voila! New secret Art Center! Next, she set up all her baby doll gear in the empty floor space. She’s able to play with them in the closet, or pull them out when she wants to use the Art Station. And I can close the doors when it gets a little tossed! 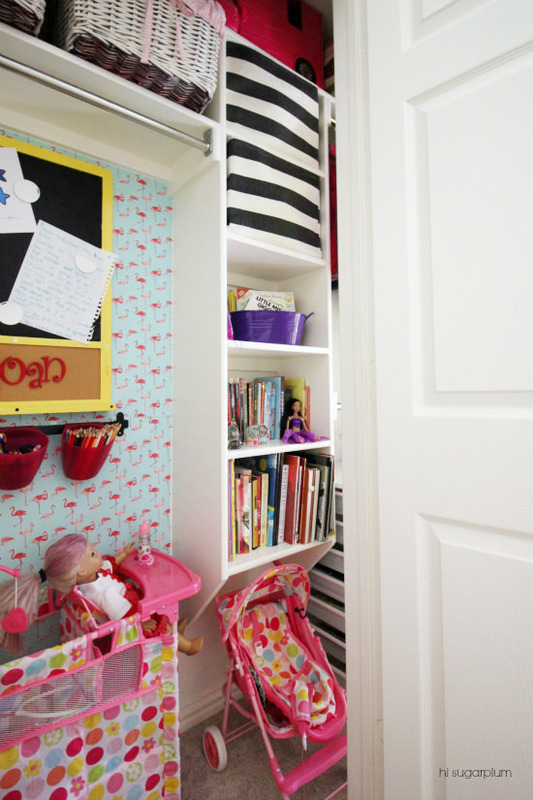 The right side of the closet is dedicated to clothes and more toy and art supply storage. She said she wrote the labels in pencil just in case she wanted to switch them up! 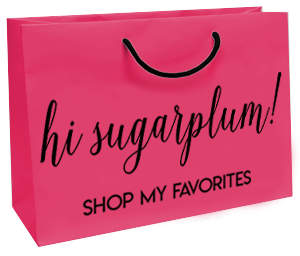 Which is music to this mama’s ears, because that means she plans on using the system! After the dramatic afternoon, I was thrilled to see her happy and smiling again! I know over time, there will be fewer toys and more clothes, so I’m savoring the moments I find her playing in this closet. 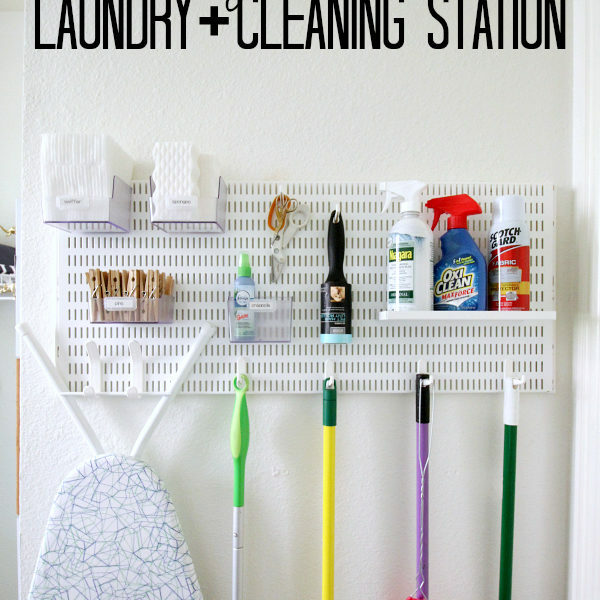 You can find all the pics, details, and tips of this project over at iHeart Organizing…I shared it with my darling friend Jen awhile back, but forgot to post it here. 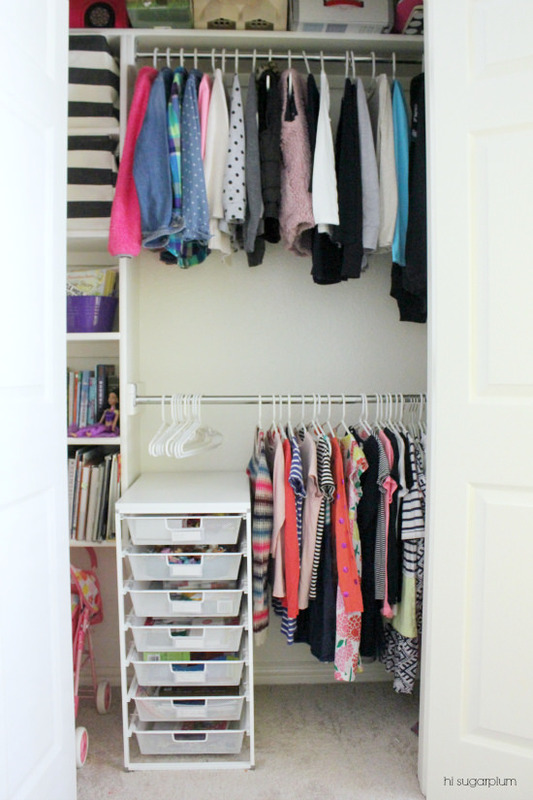 #oops #badblogger But I’m happy to report, the closet is still almost this organized, and just as fun! On to the next item on our list! Very nicely done! 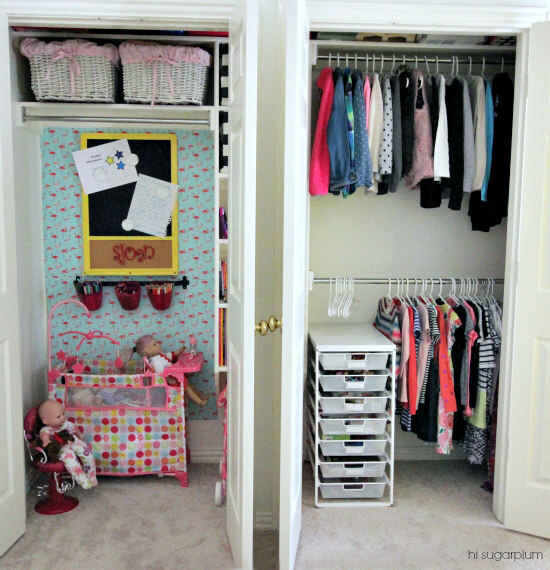 We are scheming up closet plans in our kids' closets right now. Now that we are officially closing in 2 days on the house we've been renting the awful closet doors came down over the weekend. I love the paper you used…. Cute print and pop of color. Happy Monday! Carter's closet situation over here is all CODE BLUE. Or is it CODE RED? Not sure…but it's in a bad way. 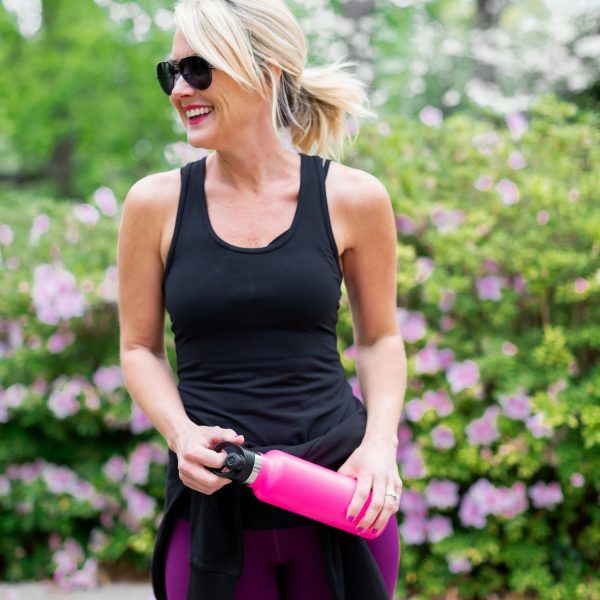 Cute pics of your girl and her fun space! 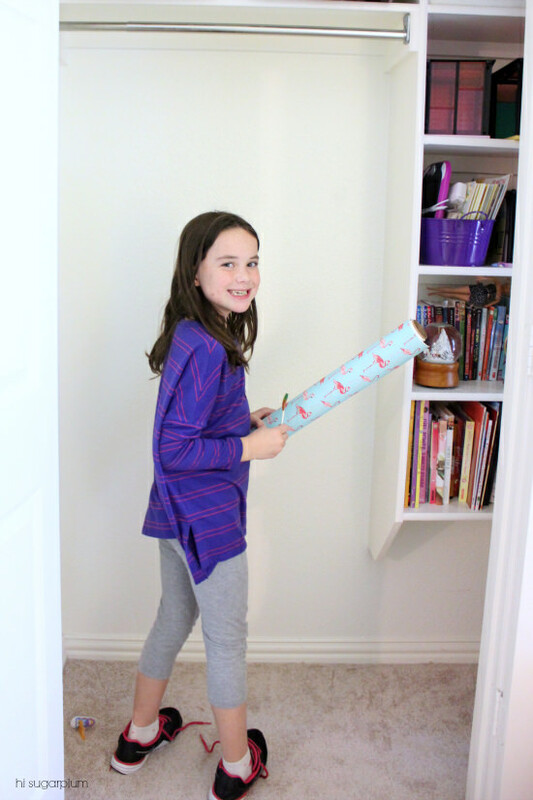 Cute pics of your daughter and the organized closet! The flamingo paper is awesome! 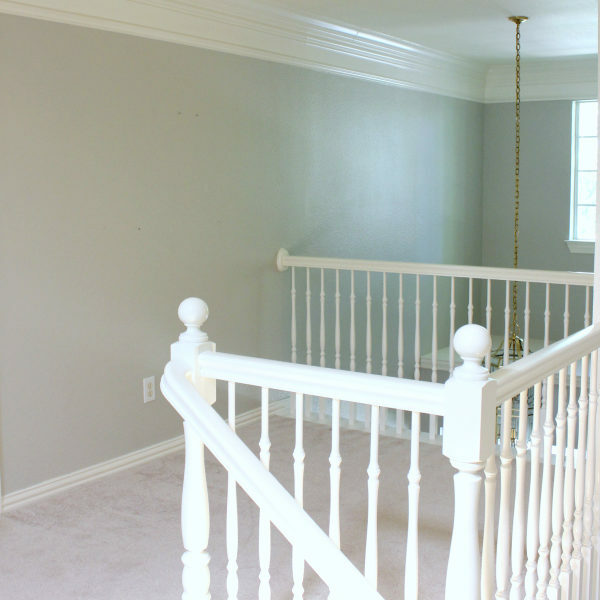 Such a sweet space for your daughter! 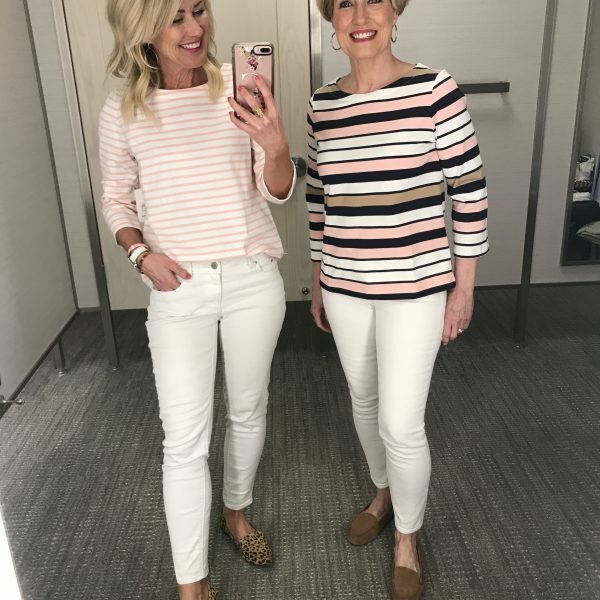 Looks like a fun mother/daughter day, even though it was a bit stressful! It always gets worse before it gets better- that's so true! Oh it must have been the weekend for this because we did the same. My baby girl is 12 and we purged the closet, moved other things into the closet and brought in a makeup/hair vanity. Now she can get ready for school in her room rather than the bathroom and not get rushed or delayed by big brother. It was actually peaceful doing this, she was totally behind this which may be why. Still need to patch holes and touch up paint and rehang some item in new spots but mama ran out of steam before she did.